Howard Industries’ junction enclosures are designed to provide a rugged, tamper-resistant housing for multipoint medium-voltage junction modules used in connection, looping, or tapping applications. 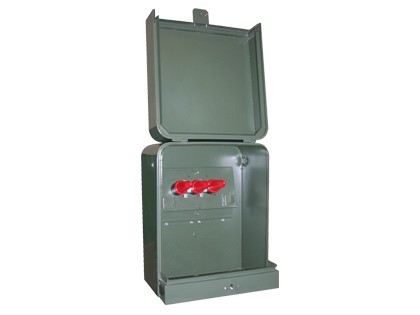 Junction enclosures are available for both single-phase and three-phase systems. Electrostatically applied polyester powder primer with polyurethane topcoat for excellent resistance to chipping, fading, abrasion, and corrosion.